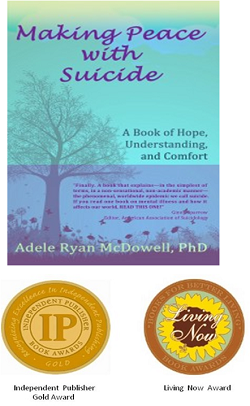 by Adele Ryan McDowell, Ph.D.
Psychoneuroimmunology has taught us that emotions, thoughts, bodily sensations, and yearnings of the soul work hand-in-hand within the ecosystem of our being. 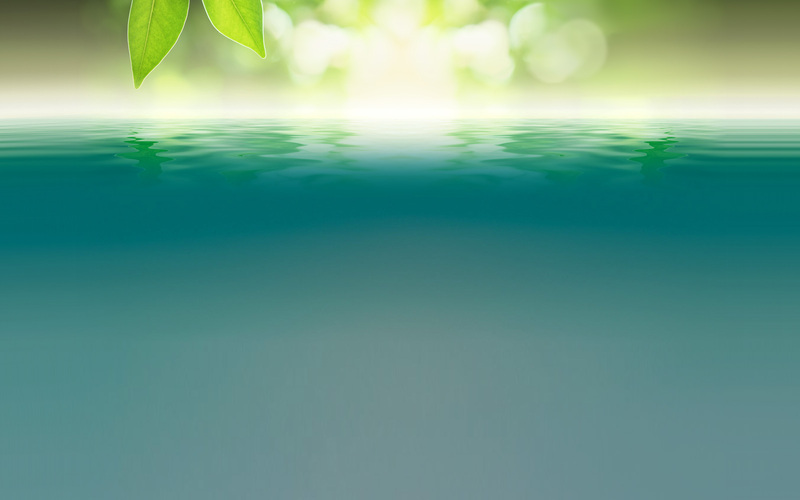 In Balancing Act, you will find reflections, meditations, and coping strategies grounded in psychoneuroimmunology, cognitive-behavioral, transpersonal and positive psychologies, big picture spirituality, and humor to help you make it through the day – as well as the night. The book is filled with short essays, fabulous quotes, and always-fun New Yorker cartoons. It is a companionable resource that offers comfort, encouragement, hope, and humor. It’s a small book with big rewards. 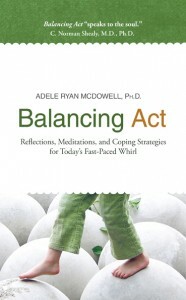 Balancing Act is an indispensable resource for handling stress and strain. It is practical, comforting, and humorous — a must-have for your bedside table. The files listed include the front cover and the press release.